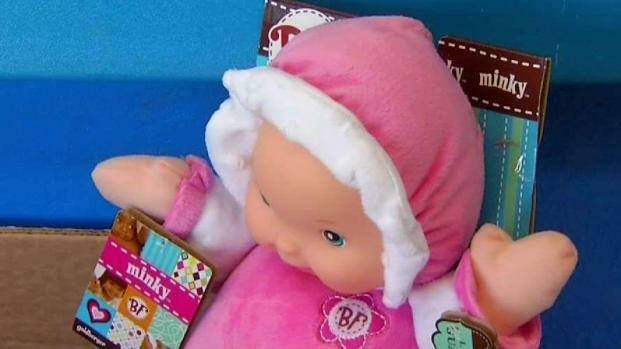 The annual NBC 7 & Telemundo 20 Toys For Tots Toy Drive kicks off Friday as we collect new and unwrapped toys at various locations. 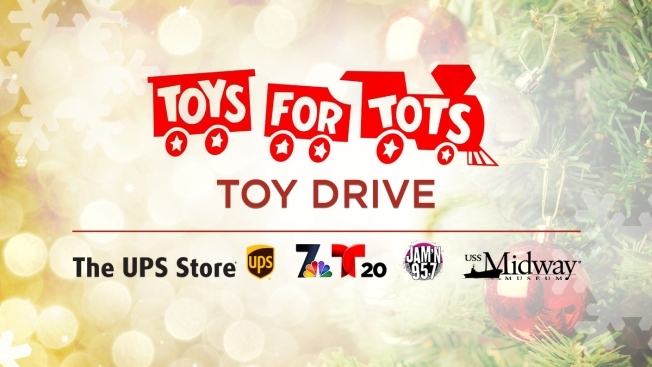 December 1, 6 a.m. - 7 p.m.
Stop by the Walmart parking lot located at 3382 Murphy Canyon Road for the NBC 7 & Telemundo 20 Toys For Tots Toy Drive. US Marines, Santa and Jammin 95.7 will be collecting donations all day long! NBC 7's Whitney Southwick reports from the Walmart parking lot off the Aero Drive exit of Interstate 15. Live broadcast with Frankie & Tati In The Morning, Jammin 95.7. December 2, 10 a.m. - 2 p.m.
It’s a “Party on the Pier” Toy Drive at the Midway Museum Navy Pier parking lot! Help us reach our goal of filling a 7-ton U.S. Marine Corps truck with toys! From 10 a.m - 2 p.m., Santa and your U.S. Marines will be collecting donations to benefit the Toys for Tots program. 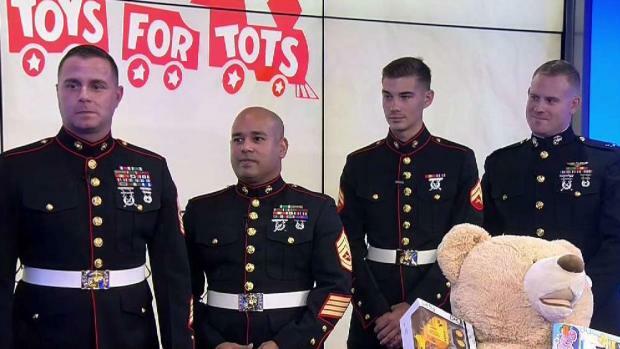 NBC 7's Whitney Southwick talks with U.S. Marines about the kickoff planned Friday for the annual Toys for Tots toy drive. A donation of two, new, unwrapped toys will receive a free guest pass to the Midway Museum, while supplies last. One pass per person. The pass is good for one time visit through April 30, 2018. Several vendor booths giving away free stuff, activities and take a selfie with Santa! For a full list of drop locations throughout the county click here.